Household use unscented white tea light wax candle, Its diameter is 3.8cm, and aluminum cup height is from 0.7cm to 2.3cm. Tealight Candle can be used for daily lighting, boiled tea, home decoration, body spa, etc. We exported tea lights to many countries, such as India, Israel, Malaysia, etc. Feature: eco-friendly, smokeless, dripless, long burning time etc. Application: church candle, Wedding Candle, Christmas candle, decoration candle etc. There also have White Candle, Color Candle ,stick candle,flute candle,Spiral Candle,Pillar Candle,Glass Candle,christmas candle, LED Candle ,LED Tea Light Candle, Art Candle . 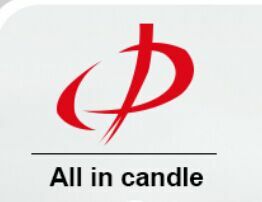 Aoyin Xingtang Candle Co. Ltd is one leading produce and export company in China, we have about ten years in the market, our customer main from Africa, Middle East, Europe etc, Top quality and Compatitive price is our first aim. Welcome to visit our company! A: T/T, Moneygram, West Union, etc. Looking for ideal Unscented White Tea Light Candle Manufacturer & supplier ? We have a wide selection at great prices to help you get creative. All the Household Tea Light Wax Candle are quality guaranteed. We are China Origin Factory of Unscented Home Use Tea Candle . If you have any question, please feel free to contact us.